It was the summer of 2010 and I was minding my own business, driving who knows where in who knows what when I saw the strangest little thing. Coming the other way was this awkward looking little Renault and I had no idea what to make of it or even how I felt about the weird little convertible. Fast forward nine years and for the first time in forever, I saw coming towards me, a Renault Wind. And that’s when it hit me, I have a strange soft spot for the teeny tiny roofless Renault. 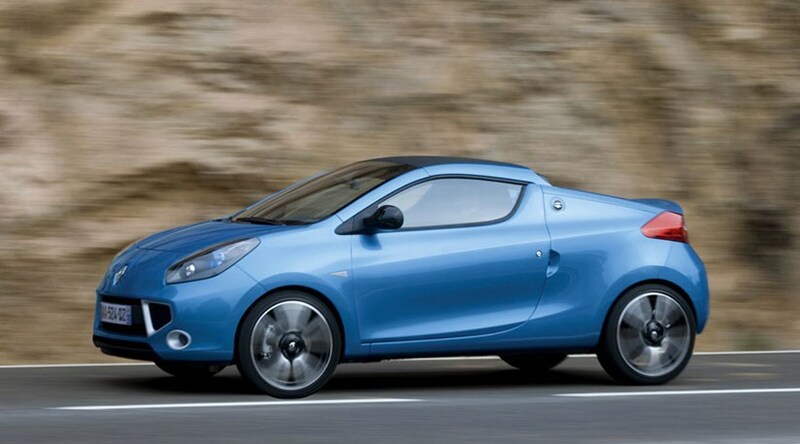 The Renault Wind first appeared as a concept car, unveiled at the Paris Motor Show in 2004 as a 2+1 roadster. Six years later it was shown to the world at the Geneva Motor Show and hit our roards in March 2010. The Wind was never meant to be a hot hatch rival or a fun rear wheel roadster to rival cars like the MX5. Think of it more as a Twingo with no roof, made with parts from a Clio, designed to be dynamic, useful and fun to potter around in. With that said, don’t think that the Wind wasn’t exciting. With the a piece metal roof that retracted in 12 seconds, I’d like to think of it as your own miniature French Porsche Targa or Mercedes SLK. It was also underpinned by a pretty decent little chassis that was used in the Mk2 Clio as well as a suspension set up based on the old Clio sport. There was a choice of two engines, a 1.6 litre and 1.2 litre offering 131bhp and 100bhp respectively. Unsurprisingly both engines needed to be worked pretty hard to get the power down but that’s all part of the fun. After all this was a car that had a total kerb weight of just 1173kg so it scampered around like a an excitable terrier. Unfortunately this cute, fun, typically quirky Renault wasn’t with us for long. The Wind was culled in the UK in February 2012. Along with the Espace, Kangoo, Modus and Laguna the roofless Twingo disappeared. I for one think that the roads are a slightly more boring place without cars like the Wind. Cars that are fun, quirky and most importantly, make you smile for no good reason. Newer PostW​hich Mercedes cabrio should you buy? Older PostThe Brand New Mercedes AMG....boat?